When I recall childhood celebrations, I remember how individual Families used to get together. It was togetherness that was celebrated. Then When and Why we started characterizing any big event or Festival with excessive spending. Celebrations today are measured by the parties thrown or attended. New year beginning was always a cozy night spent with the Family. Watching TV at Home and munching along were the ways to celebrate. But now if you open the newspaper around any Festival, you would find every page loaded with DJ party nights with a must mention to drinks. No one knows each other at these parties, Dancing till dawn and Drinking are what make these parties a hit. Talk about the Festival celebrations and you would find yourself counting and comparing your decorations, your gifts and moreover your way of celebration with what is shown in advertisements. Does Festivals or Holidays or Events means More STUFF or a Meaningful Experience? Diwali is a big festival for us and I remember my Parents not keeping every gift received but forward them. The whole purpose of exchanging gifts is to minimize the clutter at home. Moreover, its the harmless way to save the money. We (My brother and I) as children, always insisted my Parents to install our own Diwali lighting but now I understand that enjoying the bright and illuminated environment is much more important rather than spending time and money on our own pricey lights. We can apply a “less is more” mentality to every aspect of our lives – including times of celebration. Partying like a rock star for every occasion is expensive, time consuming, and not necessary fulfilling. Celebration should be there. Rather, celebrate every milestone but not with material possessions and indulgences but by involving others in your success and spreading your happiness. How to celebrate?? Being together – that’s Celebration! Do not buy yourself a present when your loved ones asks you to do so. Instead, keep that money in a Piggy bank to introspect later. Volunteer at a local shelter or help a family in need. Put down the electronics and step away from them for the day, if you can. 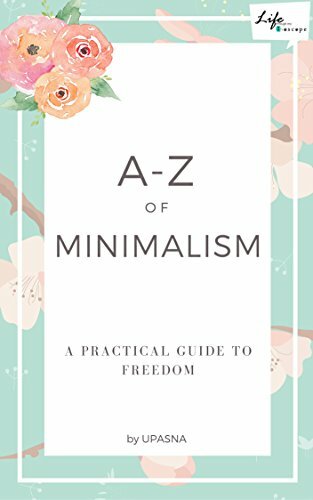 Just like every other area of our life, minimalism helps us keep balance in our celebrations as well. There is no need for extravagance. I agree wholeheartedly. Also I have asked my friends not to buy gifts for Christmas and birthdays and explained why I won’t be buying gifts for them. Instead, I’d like to lavish my most precious commodity on them, my time. Because time that we spend together is the best gift of all! Yes! We celebrate all special occasions by sponsoring a meal at the local welfare home. Togetherness is important! Lovely post, Upasna! Putting down the electronics is something I would strongly recommend too. Nice post Upasna, Though I do not spend much on gifts, I do love the excitement of waiting for my birthday gift. I nodded my head in agreement throughout while reading this post, Upasna. We are becoming robots as the times are progressing towards “digital world”. Though its a boon in many ways but a curse in making us machines. Beautifully penned post.